The Stirling Ranges provide a distinct contrast to much of Western Australia's flat landscape. I spent a number of days on this trip photographing and exploring them and was fortunate to be there for some beautiful light and conditions. 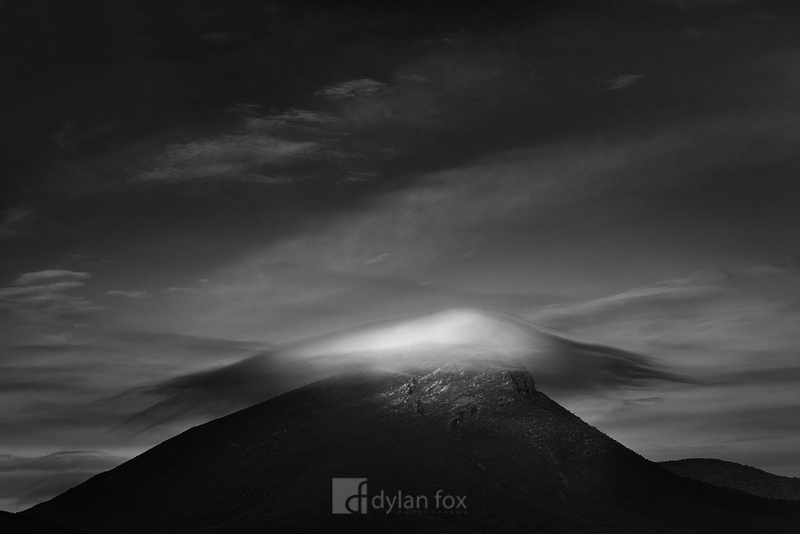 This photograph shows sunrise light hitting one of the peaks and the clouds forming around it. Secure your limited edition, Stirling Ranges print, 'Top It Off', by selecting your desired print size in the menu to the right.